Federer recorded a relatively easy win as he dispatched of the South Korean in straight sets 7-5, 6-1. The win ensures that the Swiss star retains his world No 1 ranking and sets up a semi-final showdown with Croatian Borna Coric. However, Federer feels there may be another element which he has to contend with when he meets the 21-year-old in California. And that is the weather, as Federer joked that taking on the wind may be tougher than his actual opponent. 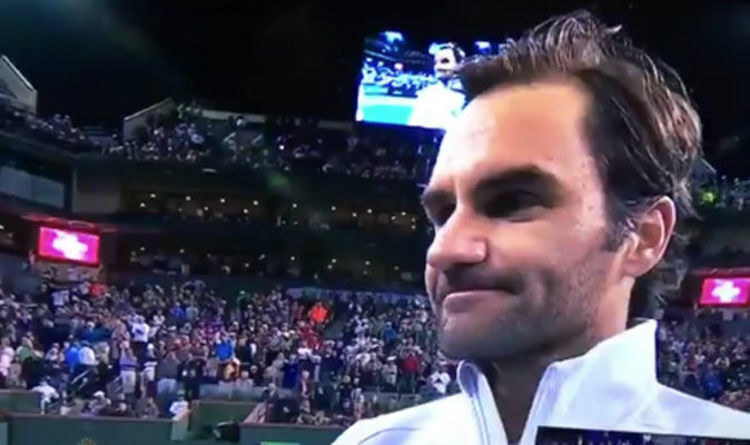 “I think it’s going to be a day session so depending on how much wind there is going to be I’m either going to be playing the wind or I’m going to be playing Borna,” Federer said. “We will see what happens there. “He is a very steady baseliner - similar to Chung. “He is also young and these guys are the future of tennis. “He is a great moved as well. He has all the confidence in the world right now so it is going to be tough. Federer is hoping to book his place in the final with victory over Coric.